Oh my, two new tips in one week!? This may become a new routine! Here’s one for those of you that use worksets a lot. Those of you that have used worksets on a project after recently converting from AutoCAD probably note a similarity in layers and worksets. Right down to loosing track of which workset you are currently working in! Up until now, there was not an easy way to see which workset you are currently working in. You have to open up the workset dialogue, and set the workset. Now, however, through the magic of the Ribbon, there is a much easier method! Cut and dry, very simple. Go to the Collaborate Ribbon and look to the left in the Worksets section (note this requires a project that actually has worksets). 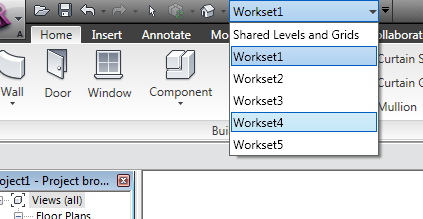 You can now not only see which workset you are currently working in, but easily switch without opening up the workset dialogue! Maybe that new fangled ribbon isn’t as bad as you thought it was! Thanks again for stopping by, and I hope this has been helpful to you. 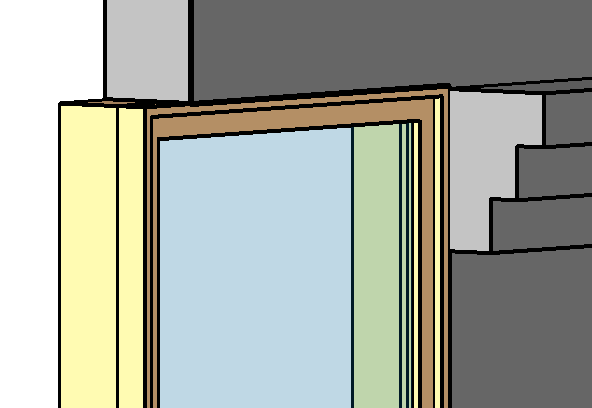 As always, I look forward to seeing you on another Revit TotD! So yeah, it’s been really busy around here, what with finally getting a new job, moving my family halfway across the country, settling in, making sure the new mom is doing good… well, I could go on with the excuses but the truth is I just missed you guys and gals! So here I am, finally back with a new TotD. I’m going to try to keep updating it at least a few times a week. By the by, thanks to everyone that kept requesting more TotDs; it really is what got me inspired to start doing these again! 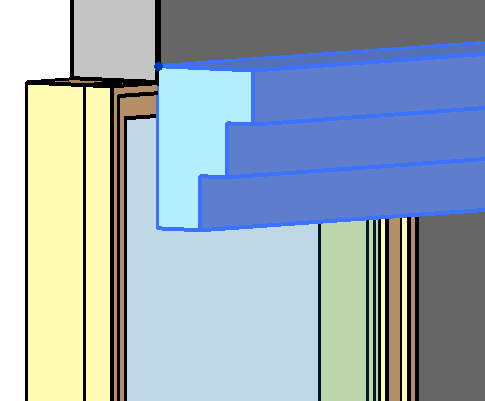 Without any further delay, here is yet another, Revit TotD! So this is one from my past. I had a particular project where a wall sweep would not allow me to line up with the absolute bottom of a window family I had made. Every time the sweep touched the window family, it would split! That wouldn’t do. So after a little exploration, I arrived to the following little tip for you peeps. The Wall Sweep is system family that uses a profile family to create a sweep along a wall surface. 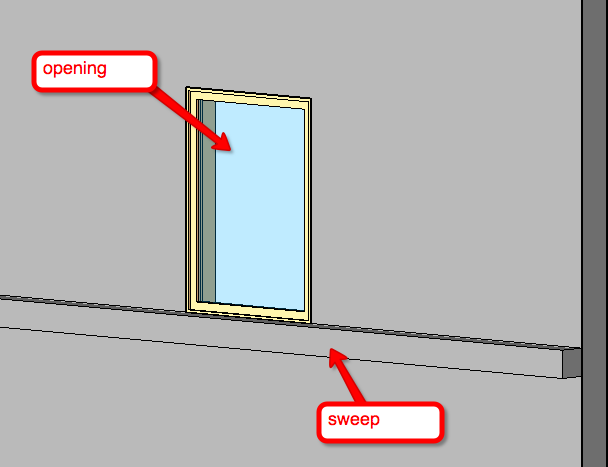 Note that this applies to sweeps that are built-in to wall assemblies as well. However, you will not be able to see the origin of a built-in sweep by selecting it as demonstrated here. Probably the most important thing you can take from the properties of the profile that is used for these sweeps is where the origin of the profile is. If you select a wall sweep, you can see that the profile origin is shown just like the location line of a wall. The two circle grips show the line that the profile lies on. Why is this important? 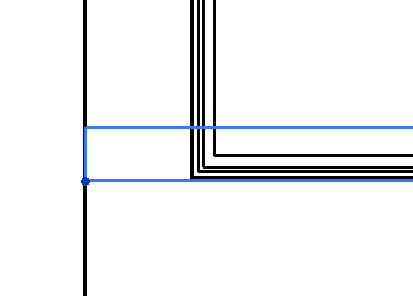 Let’s look at what happens when this “origin line” crosses an opening in our host wall. 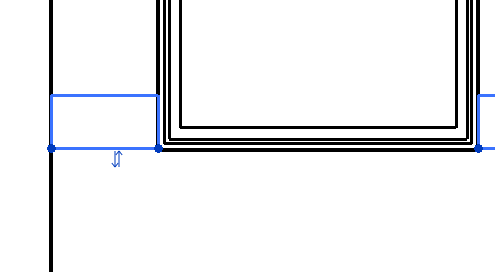 Origin Line not intersecting opening. So let’s take a quick look at how this applies to our custom profiles. Where do we actually define this origin?!?? So there we have it. I’ll leave it to you to do what you want with the information! So thanks again for stopping by, I hope you have learned something new that you can use to impress your boss(es), and as always I hope to see you again for another Revit TotD!